Loving the GRAMMY Tweets! So fun to hear about it through your eyes! Thanks, Arjan! Is Cyndi Lauper going to take the Grammy for best Dance album? I really hope she does...her new album Bring Ya To The Brink is BRILLIANT!!! you're looking good as usual Arjan! and really thanx for all the inside scoop, the Grammys were right from the start...Arjan is the man for the work! 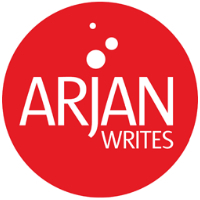 Go Arjan!! One more day!! So exciting!! Hey Arjan - I'll be thinking about you across the pond when the Grammys air. Work your blog magic babes - I'm so proud of you! I am really excited/envious for/of you! Great job. Can you attend the Grammy on a speedo please?